It’s Madmen Monday at Qwerty every week, where the gents get two free drinks and the chance to win prizes for the best dressed! The ideal spot to unwind with some post-work drinks. Every Monday at The Tap House, gents can enjoy three house drinks and a main from the gentleman’s menu, which includes the restaurant’s famous fish n chips and the wagyu burger! Ladies and boys, it’s Lady’s Boy night at Mr. Miyagi’s every Wednesday, which means there are deals for both the ladies and gents! For AED 99, the boys get to enjoy three dishes and a spirit mixer drink at this funky Asian street food joint. Alright it’s ladies night at The Hideout every Tuesday, but they have a great deal on for the boys as well! Every Tuesday, boys can enjoy three hours of free-flowing drinks, a roast chicken platter and desserts for AED 200. Lads, make your way to Q43 Dubai every Wednesday to take advantage of the awesome offers! 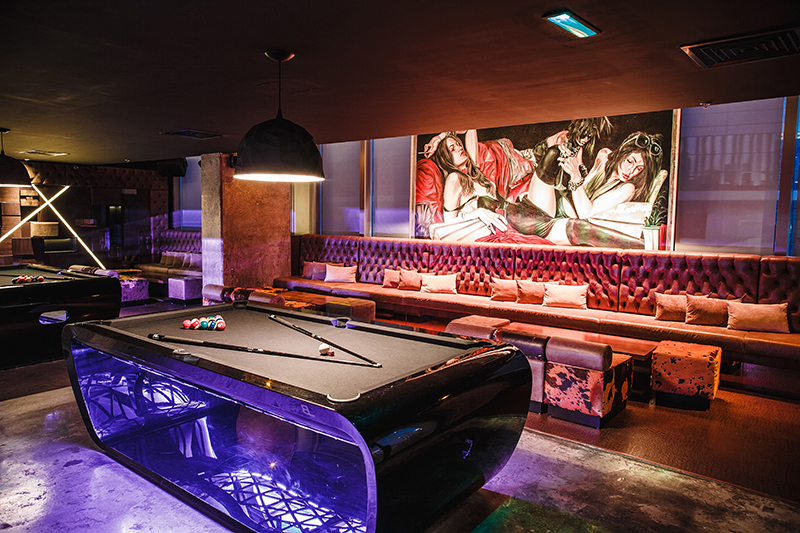 You and your mates can enjoy an hour of pool for free, happy hour deals, and a burger and a drinks for AED 99. Read more: Looking for more cool bars in Dubai to visit? Check out our Nightlife category for inspo!